Thank you for all that you do! We have had such a wonderful experience at Equine Dreams. I wish you could have had more experience with Laya before she came to Equine Dreams so that you could have a sense of how she struggles with cognitive flexibility and the discomfort she has with animals. I am amazed each week with the things that she does at your center! Any time we have tried a program/lesson with her in any area, we have been met with great challenge. But here, she looks forward to coming and she is telling other people about it. This is not a behavior/skill we don't often see, which tells me that her experience at Equine Dreams has been very meaningful to her. Her growth in these few weeks has been truly amazing! I am so thankful for her confidence, her openness to trying new things, and her interactions with the people there. This has given her ’something special’ that is all hers! I can’t thank you enough. With Much Gratitude for your countless volunteer hours! My daughter, Sophia Brooks, has been attending horseback riding therapy for the past month at Equine Dreams. 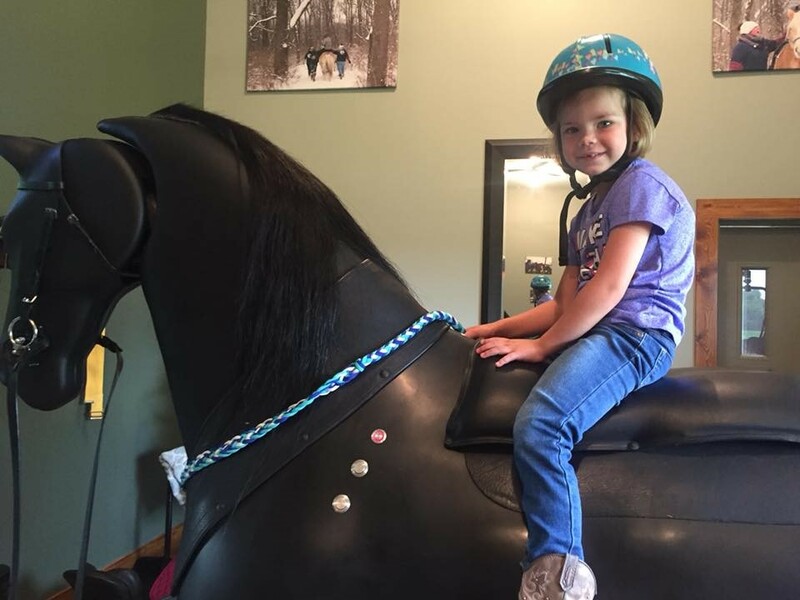 The main component of her lessons is on the riding simulator. Sophia has made great gains in the past month using the simulator! 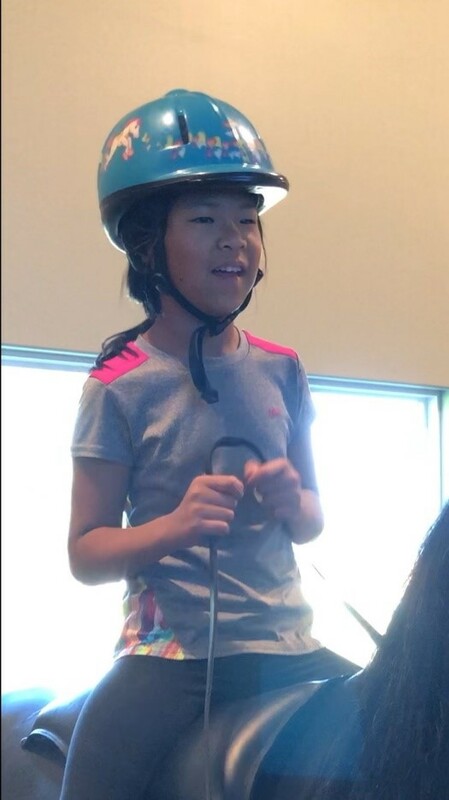 She has gone from needing full assistance on the simulator (meaning someone riding with her) to being able to be on the simulator with assistance on each side. The simulator has given Sophia the opportunity to learning non-verbal commands used in riding. For example, the command to have the horse walk. Sophia has quickly learned commands because of the instant feedback she gets with the simulator being turned on or off depending on the command. I am looking forward to seeing how Sophia continues to progress using the simulator. "Equine Dreams has had such a significant impact on my daily life and I cannot thank them enough! I started a relationship with them almost one year ago and have regularly attended various group & individual activites. The staff works tirelessly and always goes above and beyond the call of duty. The impact they have had on the veteran community is beyond measure. I sincerely appreciate all they have done. You have my utmost respect, thank you." My daughter, Katelyn, has been lucky to be able to participate in horse riding at Equine Dreams since age 4. She is now 7. 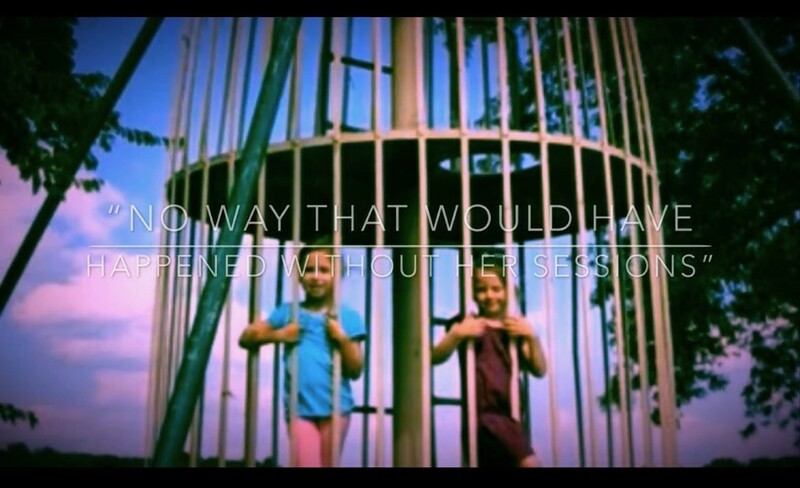 It is an amazing program and this type of therapy has impacted her in such a positive way. Katelyn suffered a traumatic brain injury at birth which has led to cortical vision impairment and challenges with gross and fine motor skills. When she first began, she needed so much assistance with her posture, body movements, verbal cues, and overall confidence. Each year she has increased her strength, body awareness and joy for riding as well as interacting with the horses. It is an outstanding therapy for her visual development and body awareness as she must use her vision along with her body movements to lead the horses appropriately. She still requires the verbal cues and help aligning her body, but the improvement over the years has been remarkable. We are truly grateful for being a part of the Equine Dream family. We do what we can in terms of volunteering time and finances. We are so thankful for all those who do the same to keep the program going for all the families involved. I look forward to every spring that comes as we are able to resume lessons and see how much Katelyn will learn and grow with the new season. Words cannot express how much joy it brings me to see her riding, gaining strength, confidence, and independence. Thank you from the bottom of my heart. Our son, Joey, is 10 years old and has cerebral palsy. 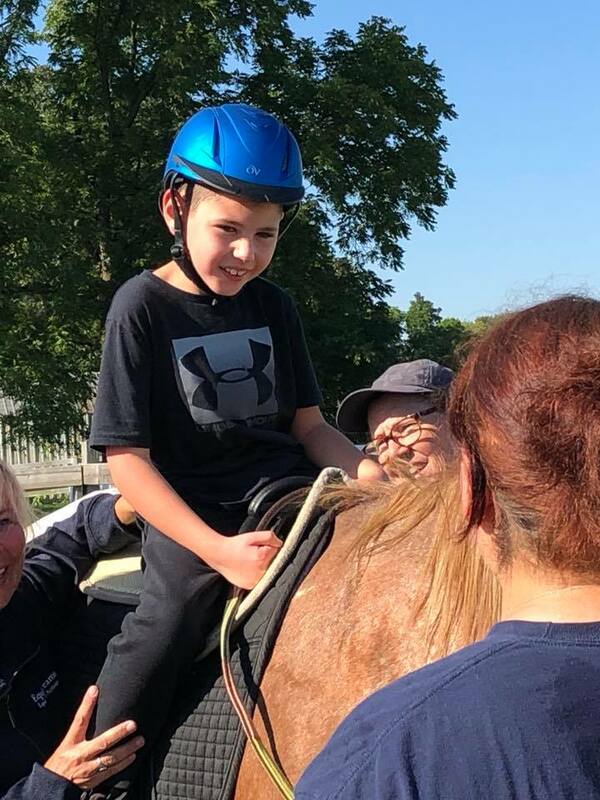 He has been participating in therapeutic horseback riding at Equine Dreams for several years and looks forward to riding each week with expectant joy. He loves being told that he's a cowboy. The therapy he receives enables him to benefit from an improved gait when walking. It also provides him with the sensory input he needs to help him vocalize. It helps to increase his trunk strength and endurance which enables him to do so many other things. He enjoys the relationships he has developed at Equine Dreams with the therapists, volunteers and, of course, the horses. It has also given two of his older brothers an opportunity to serve him by being his volunteer sidewalkers. Equine Dreams has been a remarkable blessing for our whole family. 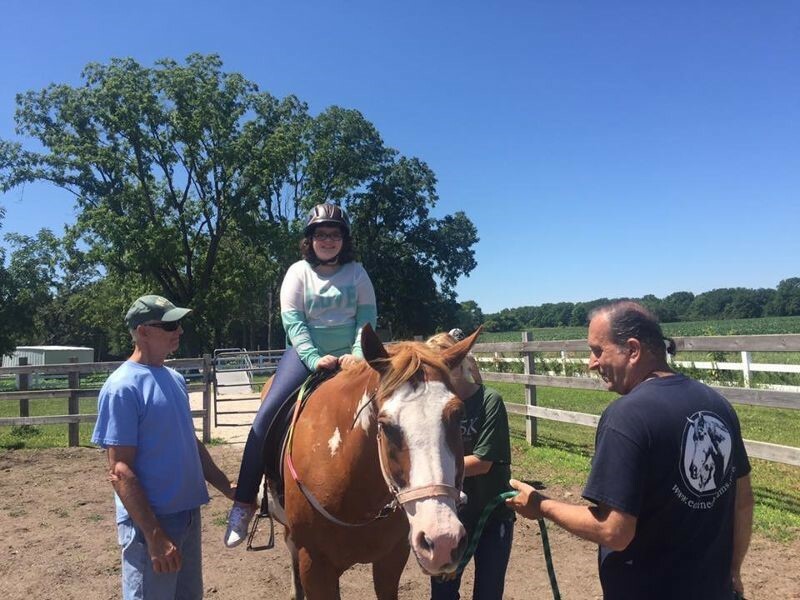 I am writing to you in support of Equine Dreams Therapeutic Riding Center and all the wonderful things they have assisted the individuals I work with achieve. I have been a QMRP with Open Door Rehabilitation Center in Sandwich, IL for a little over 12 years. 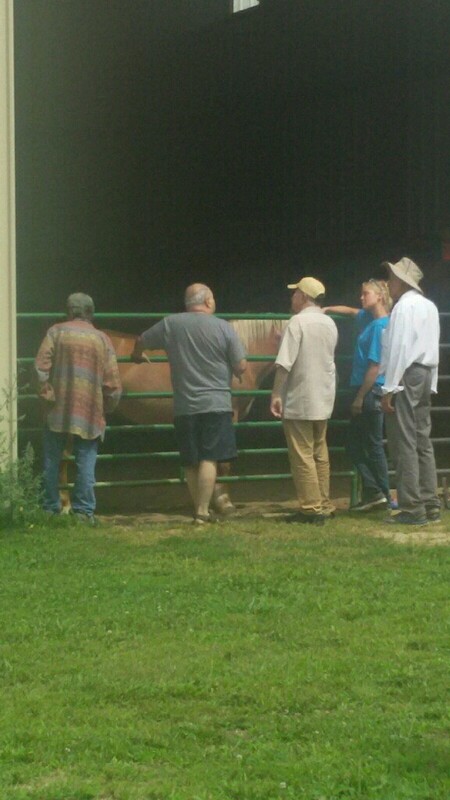 I have had many individuals involved in various programs available through Equine Dreams. Words can not express the feelings of joy, excitement and self-fulfillment that these individuals have experienced. 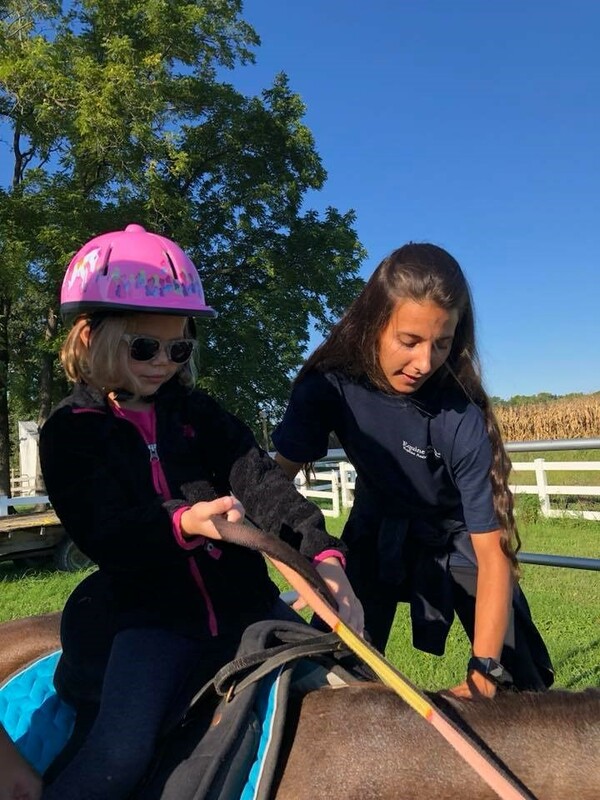 Not only is Equine Dreams strengthening their bodies in ways that are not possible without the use of the horses, but they are also learning skills that 12+ years of academic training has been unable to teach them. Working in adult services, I have witnessed many cases where an individual will age out of school programs and be left with limited or no therapy services available. Equine Dreams has filled this gap for many of my clients that need things like physical therapy, social skills training and/or improved emotional and cognitive development. Each and every person that works at Equine Dreams pours their hearts into everything they do. The hours are long, the summers are hot and most of the time the jobs are dirty and yet they keep coming back. The staff consists of a very dedicated, well rounded and diverse group of professionals with a wide variety of expertise. It is very rare in this rural area to find such a caring mixture of people focused on the same goals. Thank you for your time and energy reading this letter. Be assured that any grants or contributions received by Equine Dreams are being used wisely to improve the quality of life experienced by many individuals with a wide range of disabilities. In our immediate area there are no other programs that provided the kind of services that Equine Dreams provides and the fact that they do it at no cost to the individual allows many people who would not be able to afford this opportunity a place to feel special. I started to come to Equine Dreams in August of 2004. I have to say it has been "without a doubt" the best therapy I've had in 9 years. In the summer of 2006 I tried and got my drivers license, and I would never even tried to get something that great, if it wasn't for this place. I've learned so much and I've had the privilege to help another with similar problems, but for different reasons, with his exercises and other stuff. My goal is to walk with a cane and, I'm sure I will do it as long as I continue to have a place like Equine Dreams to go to. My life would be very different if I never went there. My brother, Blake Hepner, uses the services of Equine Dreams. Blake has been a part of the organization for many years. 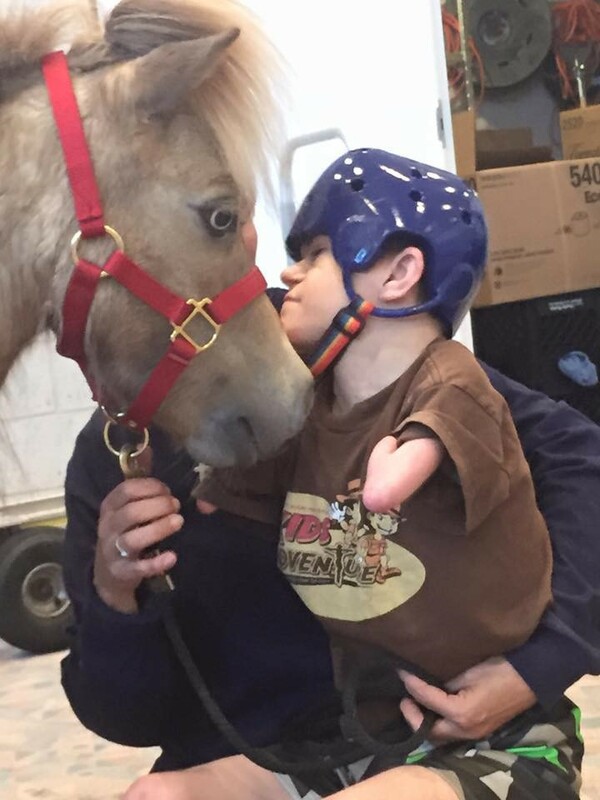 He was introduced to Equine Dreams and its services to help disabled people, through a coworker. 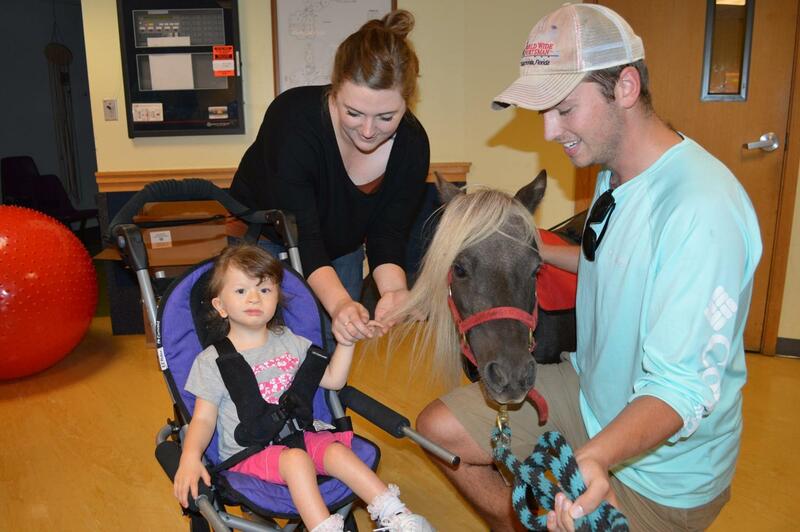 Blake donated for years to Equine Dreams to help people with disabilities. He had even talked to my daughter about volunteering there when she was in high school, but she was hesitant to be around horses. So in Blake's heart Equine Dreams was very important to him and to the people that the services help. On February 1, 2005, Blake had an accident and suffers from Traumatic Brain Injury. 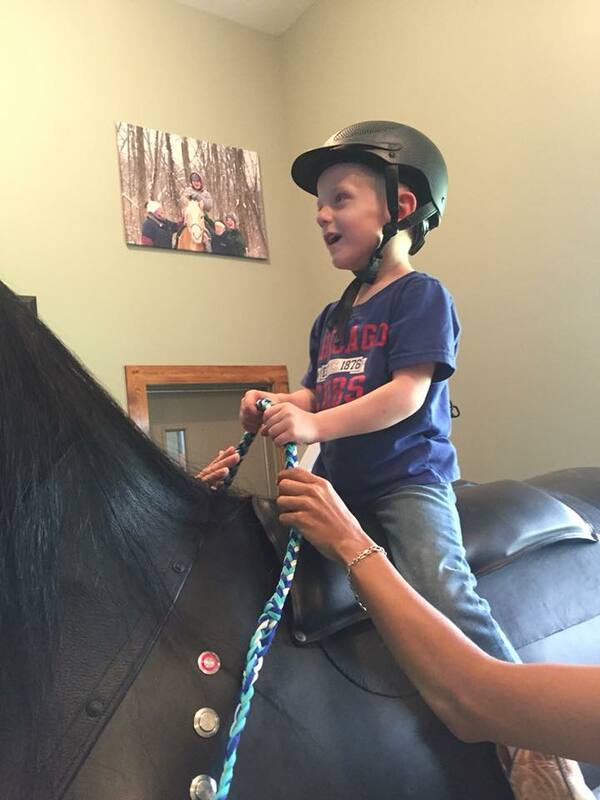 We contacted Equine Dreams about their services to see if it could help Blake with his rehabilitation. Blake has been going there for the last 4 years and learning to groom, follow directions and ride the horse. This has been very helpful for Blake in many ways with his disability -- it has helped him improve physically and mentally. Equine Dreams holds a very special place in our family's hearts. To see Blake smile every week when he goes to work with the horses--shows how important it is to him. 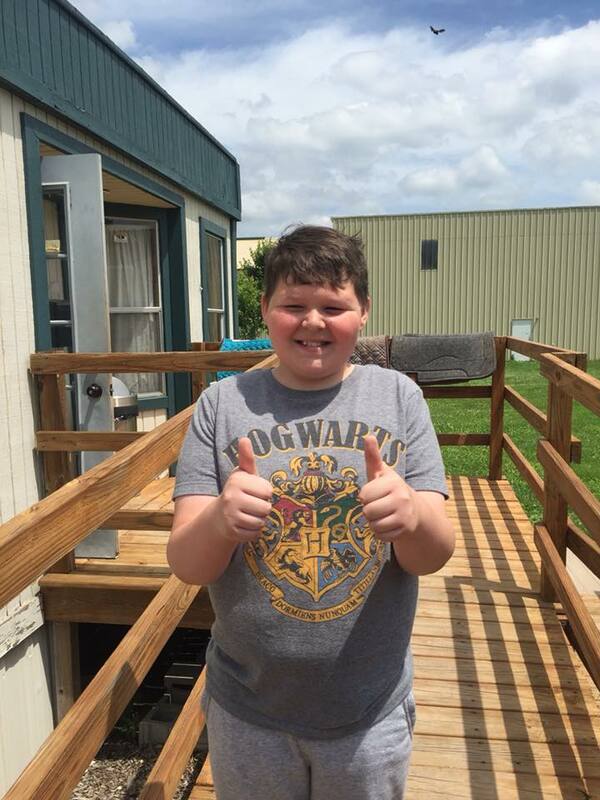 Blake never knew when he was making the donations to help others with disabilities, that he would need the services in the future. Thanks Equine Dreams for everything you have done for my brother, Blake Hepner. Levi has really enjoyed his opportunity at equine dreams. The staff and volunteers have been amazing and Levi has really taken to then and responds well to their instruction. Their dedication to Levi and all the other individuals is second to none. The smile on Levi's face when he tells his horse to "walk on" and the horse takes him around is priceless. He gets so happy. 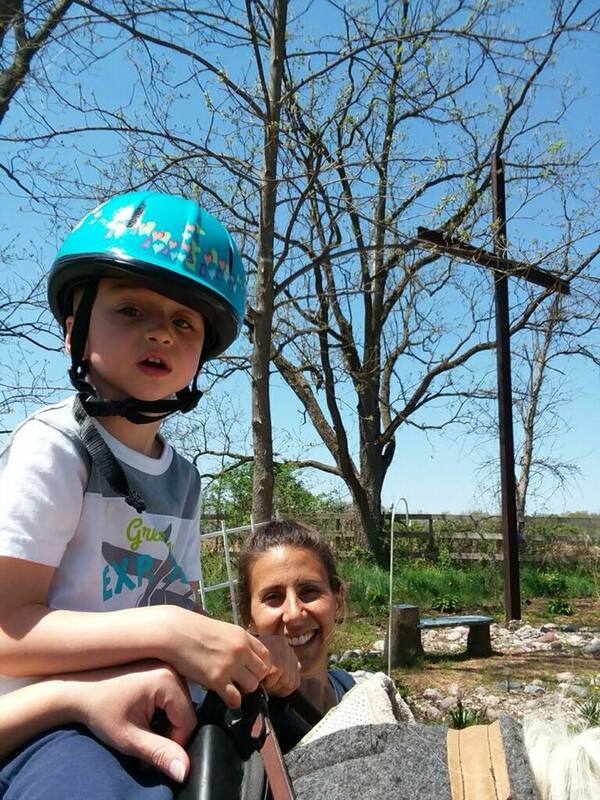 The experience for Levi at equine has been a blessing and helpful for his therapy. 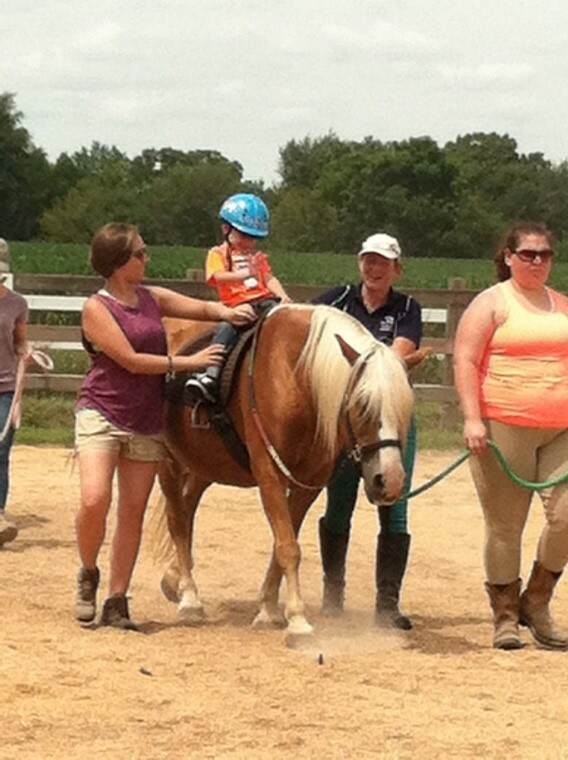 My daughter, who is 11 years old and has multiple disabilities, is a participant in the Equine Dreams. 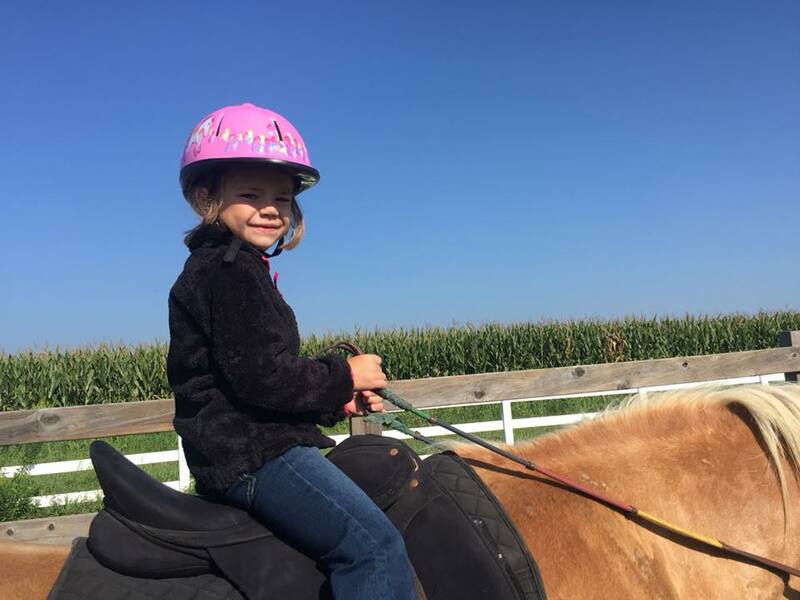 As she cannot walk independently, this program offers a wonderful opportunity for her to experience movement by riding horses that are specifically trained to work with children with special needs. The two most unique aspects of Equine Dreams are that is operated entirely by volunteers and the families who have children participating in the program are not charged any fees. I am very grateful that there is such a quality program available in our local area. Meet Tyler. 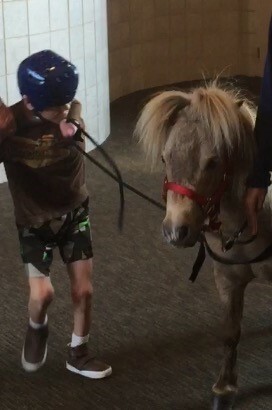 Through our visits at Marklund Children’s Home and School, we were able to foster his independence and abilities by teaching him to lead his own miniature horse down the hallways at his school. The motivation of the mini horse impacted his daily life in a positive and affirmative way. Motivation is the key to Independence. My Daughter Stefanie has enjoyed the program at Equine Dreams. She started when the program was introduced in the school she was at, and after it stopped, I kept taking her on our own she enjoys it. Over the years of going she learned different things from the program like giving a horse a bath, going on a trail, learning different hand movements and helping with posture. Stefanie enjoys being on the horses. Stefanie enjoys the volunteers that help her. It's fun, and do your best, learned to feed the animals. One day, Stefanie earned a ribbon for doing her best. We enjoy bringing things on their wish list to help them out. Equine Dreams has been such a pleasure to work with. Staff are attentive, flexible, and patient. Their goal is to create a great experience for those we serve at Marklund. They always make sure to engage our students and residents based on each individual that they are working with so they can get the most out of the experience. We always look forward to their next visit! Things that we were struggling so hard with a month ago seem to be getting much easier. For example, in the past few weeks at therapy, Maggie has allowed me to wander around the grounds and talk to people, or visit with the horses or other parents while her lesson is going on. She has also started allowing me to take more of an observation position in her other therapies, as well. The past two weeks I have been able to sit in the waiting room while she meets with her psychotherapist, which I haven't been able to do in over 3 months. I would also say that Maggie is starting to show a greater respect and appreciation for our animals at home. While experiencing a meltdown this past week, she allowed our Labrador to nuzzle her and then lie on her chest as a compression weight. She then snuggled him in this position for a few minutes and came out of the meltdown as fast as it occurred. It's such progress for her to find comfort in the animals and not feel that self-preservation urge to fight. From the horses, volunteers, riders, etc., as a parent of a rider, I have countless learning opportunities every time I see the team teach my daughter at her lessons during the summer. I would love if I could continue learning by their example how to teach my daughter to help increase her self-advocacy skills year round. There are currently three teachers at Hope Wall School who utilize Equine Dreams services. Melissa Yarbrough has been attending with her class for the last six years. Sonia Villarreal has been attending with her class for the last three years and Jennifer Giese has been attending with her students for the past five years. We all bring students with moderate to severe disabilities aged five to ten years old. During our time with Equine Dreams, we have never been required or even asked to pay for their skilled services. Sharon and her team of volunteers have been more than accommodating with our many schedules and ongoing needs. During our time with Equine Dreams we each have seen different improvements with our wide variety of students. We have worked on social skills, speech improvement, independent muscle movements, following verbal and visual directions, improving negative behaviors, and overcoming fear of new things. Equine Dreams gives our students an opportunity to experience a whole new outdoor, rural environment. Our school houses a large amount of low income students who would otherwise not be able to afford the services of hippotherapy that Equine Dreams offers. I would like to take a few minutes to tell you how thankful Jake and I are for your wonderful program. This was Jake’s first year at Equine Dreams and I couldn’t be any happier with Jake’s progress than what I witnessed this past summer. He has not only shown improvement in use of his right hand/arm but he has had tremendous growth in his language skills and cognitive thinking since first riding. His sentences are much clearer and his vocabulary has increased as well his thought processing. I am truly amazed at how much Jake has developed and progressed through this program in such a short period of time. It was a great change from the traditional therapies he had previously received. Jake’s family members and I are very anxious to see how much more Jake can do once the program becomes year round. It was really exciting to hear family and friends comment on how well he was doing. I realize that there is a little regression that has occurred since the riding has stopped so it will be very beneficial to Jake to ride year round. He is already looking forward to riding and actually he has been demanding that he wants to go to horse therapy now! My family and I are truly thankful for all of the people that have taken time to make this program such a success. Many long days and hard work has gone into making this program what it is. 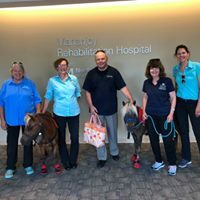 Horse therapy means the world to many of these “special people” and that means the world to us caregivers. Being surrounded by the peacefulness and beauty of these special animals is a great feeling for all of us. If there is any way in which we can help out to continue this therapeutic program, please let us know. We are willing to help out where we can. We want to help pay it forward. Thank you again for the experience and we look forward to starting up again this spring.